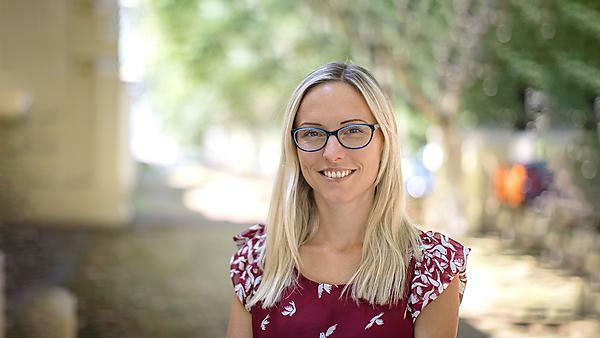 Rachel Hingston shares her journey since graduation and how the University of Plymouth shaped her career. Since completing my studies, I have been planning to visit Spain where I will be working on an international research project. I will also be starting a masters degree in education at the University of Plymouth and am currently looking for part-time work that will complement my course. I have also completed the 100 kilometre Jurassic Coast for a local charity, Ellie’s Haven, who give free holidays to families with children with complex needs. The best thing I have achieved in my career so far is supporting hundreds of children to start their journey through education. I am passionate about providing children with the space that supports them to express themselves and interact. My hope is to instil children with a lifelong love of learning. The skills I have learned at university have allowed me to think more critically about my practice as an educator and allowed me to better reflect on how people are affected by their environment. Would you recommend the University of Plymouth? I would recommend the course at Plymouth because it offers a quality higher education experience that supports a diverse range of students to achieve their very best. The University is very friendly and I have made many friends during my time here. I already lived in Plymouth before going to university but I have been told by others that being close to the sea was a reason for them coming to study here. There were two universities I could choose from and I attended open days at both to find which was the best fit was for me. While I was at the University of Plymouth open day, one of my course lecturers gave a talk that I found aspirational. She gave an honest representation of the course, saying it was not going to be easy and if students wanted to do well they were going to have to work hard and make sacrifices. I found this information incredibly important as by attending university you are making a commitment and that requires an informed decision. I think my favourite memory is winning the FLUX competition as an ‘untraditional team’. We were made of early childhood studies and business students, which may have given us a creative edge. At the beginning of the competition I remember thinking that we would come last but, as the day went on, our confidence grew and by the end we had won! It was an empowering experience that put me out of my comfort zone and I urge people to say ‘yes’ to things they normally wouldn’t as you never know what might happen. My advice to other students is to know your faults, understand how you best learn, and when you are at your best. It is important to know yourself well enough to play to your strengths, as this will improve your outcomes. Listen to feedback and ask for help if you need it as no one can help you if you don’t ask. The University was supportive when I had concerns that I had dyslexia and they suggested that I take the test. When this confirmed that I was dyslexic, I received the support I needed in order to improve my confidence. The Learning Support Gateway aided in getting the best out of my work, even before my diagnosis. The staff are welcoming and gave sound advice on a range of subjects such as CV writing, events and possible work experience. I also used the Careers and Employability service from time to time during my studies. Plymouth has prepared me well for any challenge that I might face in my career. Everyone will face challenges that they must overcome to succeed. The lecturers and staff have supported me through those challenges during my studies which have ensured that I can stand on my own. The mindset that this help has given me I will continue to apply throughout my career. During my studies I was awarded the Santander Scholarship, which enabled me to travel to Spain to work on an international research project focussed on exploring what is meant by ‘child-centred practice’. This opportunity has supported me to grow my network of colleagues and provided and additional international perspective of education that I can use to develop my own practice. For more information about studying BA (Hons) Early Childhood Studies, please visit our course page. For more information about our range of courses within the Plymouth Institute of Education, please visit the school page.